Thanks to technology advancements, today’s orthodontics patients have more options than ever before when it comes to wearing braces. From traditional metal braces to clear braces to clear aligners, Hoang Orthodontics will help you select the right treatment option for your orthodontic needs. Metal braces are the traditional style of braces that have been used for decades to successfully straighten patient’s teeth and restore proper alignment to the jaw. Today’s metal braces, made from stainless steel, are smaller, more comfortable and more attractive than ever before. Traditional metal braces are primarily used when treating children and teenagers. A small bracket is glued to the front of each tooth using a cement bond. Once the brackets are added, an archwire is threaded between the brackets and held in place with elastic ligatures. By tightening and reshaping the archwire on subsequent visits, our orthodontist is able to align and reposition your teeth. If necessary, we may also insert orthodontic spacers between the molars to create room for molar bands. 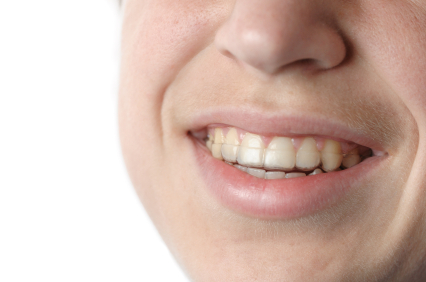 Many of our adult patients prefer to use ceramic brackets. Ceramic brackets are an aesthetically pleasing alternative to traditional metal braces. Our ceramic braces are as strong and effective as traditional braces while being far more discreet. Unlike some types of clear braces, our ceramic brackets are non-porous so you do not need to worry about red wine, coffee, sodas or other foods products staining the clear braces. If your alignment needs are minimal to moderate, the ClearCorrect system may be the best choice for your orthodontic needs. This discreet system of clear aligners gradually moves teeth into proper position. Our orthodontist creates custom straightening trays that are completely invisible; no one but the patient will know that ClearCorrect trays are being worn. The trays slowly cause teeth to shift position; patients return every few weeks for a new tray. Unlike braces, ClearCorrect trays can easily be removed for eating, drinking, brushing and flossing, minimizing inconvenience during mealtime and supporting good oral hygiene. ClearCorrect is a popular choice with adult patients who would like straighter teeth without the hassle or inconvenience of traditional metal braces. Our orthodontic practice offers a variety of braces to best meet our patients’ orthodontic needs. To learn more about braces, schedule a complimentary diagnostic appointment with Dr. Hoang today at 281-955-0380.